Welcome to another day in the NBA. Yesterday, we had seven great games to watch and there are a total of six games to look forward to tomorrow night. Let's analyse some of the meaningful performances from the last night, results of the matches and top players to look out for in the matches tomorrow. 1. Ben Simmons (Philadelphia 76ers): 26 points, 10-16 FG, 8 assists, 10 rebounds, 1 steal and 2 TOs. 2. LeBron James (Los Angeles Lakers): 36 points, 15-23 FG, 10 rebounds, 4 assists, 2 steals and 5 TOs. 1. Lauri Markkanen (Chicago Bulls): 11 points, 4-17 FG, 5 rebounds and 2 TOs. 2. Allonzo Trier (New York Knicks): 7 points, 3-12 FG, 3 rebounds and 4 TOs. 1. The Indiana Pacers had a home game against the travelling New York Knicks and ended their losing run, winning 103-98. The Philadelphia 76ers responded to the Pacers win with a win of their own against the lowly Cleveland Cavaliers, 106-99. The Los Angeles Lakers showed a lot of fight as they travelled to Chicago and faced the Bulls, coming out with a win, 123-107. 2. The Milwaukee Bucks continued their rampant season with another solid win over the New Orleans Pelicans, 130-113. The San Antonio Spurs too consolidated their playoff position with a great 112-105 win over the struggling Dallas Mavericks. The return of Karl Anthony Towns could not save the Wolves in the end as they got blown out by a rampant Denver Nuggets, 133-107. In the final game of the night, the Portland Trail Blazers beat the Los Angeles Clippers, 125-104, to continue their solid run into the end of the regular season. The PG spot for our daily fantasy DFS had to go to Russell Westbrook over a close second place for Steph Curry. 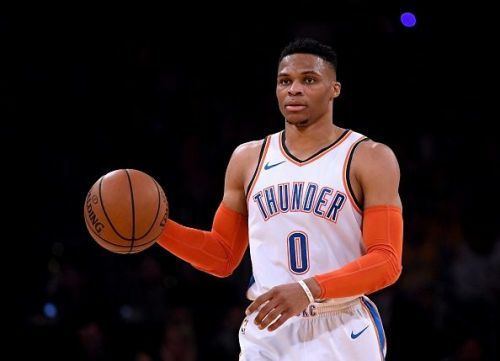 The Oklahoma City Thunder face off in a dicey game against the Brooklyn Nets, while they currently sit fourth in the Western Conference. They have won just four of their last 10 games, coming into this one though with a win over the Utah Jazz in their most recent meeting. With a 41-26 record and most can be attributed to some strong support given to Paul George this season by our star Russell Westbrook. He has been superb all season, despite a shooting slump - averaging a triple-double once again with 23.1 points, 10.5 assists and 11.1 rebounds per game. He has been one of the league's best defenders alongside George, averaging two steals per game. Since Curry goes up against the red-hot Houston Rockets and has not been in very good form prior to this matchup, Russell gets the nod. Westbrook, in his last game, almost had another triple-double: 23 points, 11 rebounds, eight assists, one steal and block too. 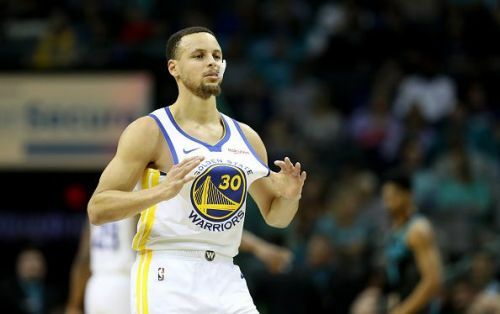 He should manage to continue his excellent form against the Brooklyn Nets and get the momentum needed to push for the playoffs' top four seed in the West.